The very first commercial release of Android happened on September 23, 2008, exactly ten years ago today. 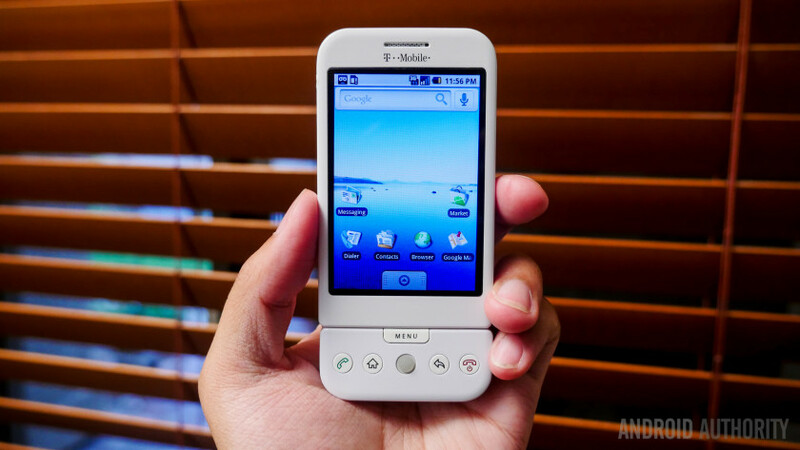 The debut of the Android operating system came bundled with the HTC Dream, a.k.a. 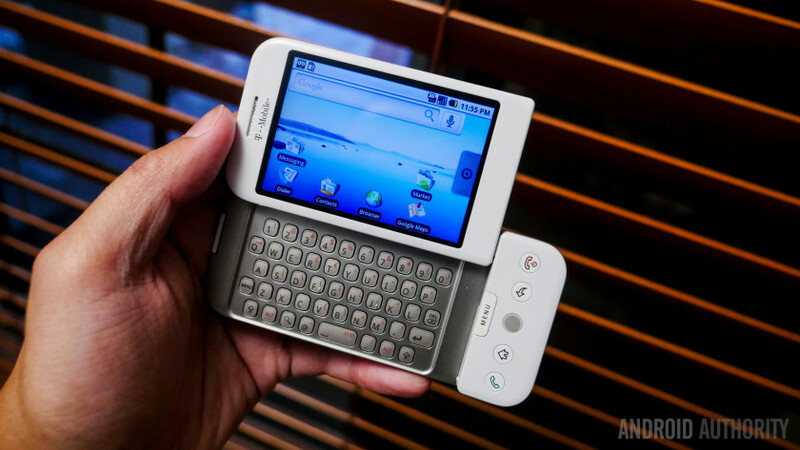 the T-Mobile G1, a now-legendary device with a touchscreen interface combined with a slide-out physical keyboard. While Android 1.0 was missing a lot of features we depend on in our day-to-day lives in 2018, the first commercial iteration of the operating system was pretty robust with the smartphone basics. No, it didn’t have a native video player or stereo Bluetooth, and it didn’t even have a “treat” moniker to differentiate it from future versions (that came with Android 1.5 Cupcake in April of 2009). But it had a lot more than you would expect. As part of today’s celebration of Android – which in ten years has become the world’s largest and most popular mobile operating system – we’ve compiled a list of five Android 1.0 features that are still around today. Names may have changed, and feature sets may have been expanded, but the core aspects of the five Android functions below are officially ten-years-old! What would an Android device be without an app store? Sure, plenty of essential apps came pre-installed with Android 1.0, but a lot was missing. For example, if you wanted to play video files on your Android phone, you’d need to download a third-party app, as that function wasn’t baked into Android yet! The Android Market is where you’d turn for all your Android app needs on the HTC Dream. However, you wouldn’t find much: when the Android Market launched, it only had about 13 apps available (all of which were free). Just 13 apps! What was Android Market and how is Google Play different? Once Google opened up the Android Market to indie developers who could list apps on their own, that number jumped up significantly. But still, at the end of 2008, there were only about 200 apps on the Android Market. In 2012, Google merged the Android Market with two of its other offerings: Google Music and the Google eBookstore. The combined effort was called Google Play, marking the end of the Android Market moniker. But the core functionality of the Google Play Store today is all based on the beginnings of the Android Market. Back in the day, your contacts were stored on your SIM card. When you bought a new phone, you would swap your SIM card and then load your saved contacts; cloud solutions weren’t really a thing yet. Even today, you still have the option in Android to store your contacts on your SIM card, but most people opt for the more modern approach of putting their contacts into Google Contacts and then never having to worry about “New phone, who dis?” problems. With Android 1.0, synchronization apps were already in play, like Google Contacts, Gmail, and Google Calendar. If you added an event in Google Calendar on your smartphone, for example, that event would eventually sync with your web-based Google Calendar, keeping you perfectly in sync no matter which system you used. Additionally, you could sync your data with third-party applications like Microsoft Outlook, making the synchronization abilities of Android even more powerful. Synchronization may seem like a small thing, but it’s the foundation of modern smartphone applications. Today, would you even use an app that didn’t sync your highly-valuable data to a cloud server for re-syncing later should you upgrade your device or lose your local data? One of the crucial differences between Android and its rivals, both then and now, is the number of control users have when it comes to organizing applications. Unlike iOS – which at the time of Android 1.0 just threw app icons onto the home screen without any organization to speak of – Android apps actually had some order to them. When you installed a new app, it was placed into the app drawer, a novel and elegant way to keep your home screen clutter-free. Within the app drawer, your apps were organized in a grid by name, making it easy to find what you needed quickly. If you did decide to put your apps on your home screen, you could place them in any order you liked and even organize the apps into clusters using home screen folders. Additionally, some applications had companion widgets that you could put on the home screen that gave quick-access to core app functions without having to launch the full app. Obviously, all these Android features are well-known today because they’re still around, with very little changed over the past ten years. The fact that Android nailed these features on day one is extraordinary. By the time Android 1.0 came around, mobile phone users the world over already were familiar with SMS and MMS. Even feature phones like the incredibly popular Motorola Razr V3 (released in 2004) could send and receive SMS and MMS. With that in mind, it would be absolutely zany for Android 1.0 to not support those two features right out of the box, right? Well, for some reason Apple didn’t get the memo about MMS, because the original iPhone didn’t support the technology. 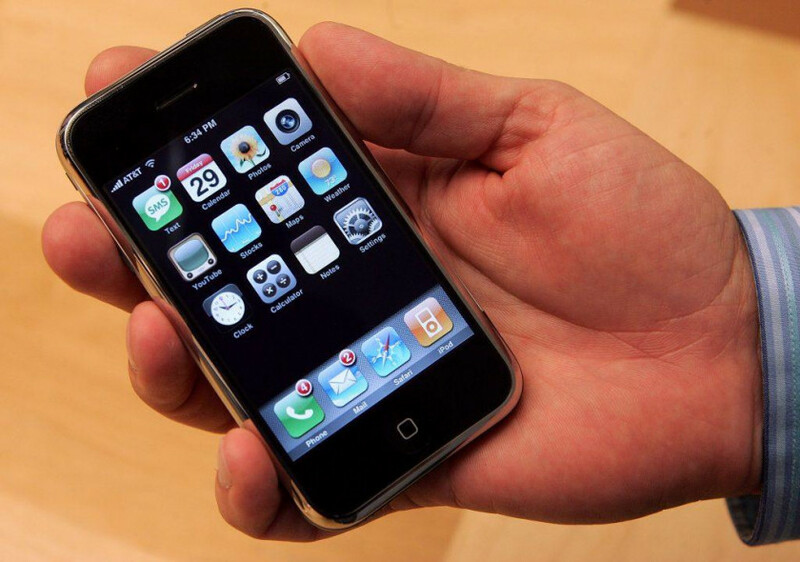 It wasn’t until 2009 with the release of the iPhone 3GS and iPhone OS 3.0 that iPhone users gained the ability to text photos to their friends (the OG iPhone never saw MMS though). While it’s likely that Apple would have eventually brought MMS to the iPhone no matter what, it’s not out of the question to suggest that because Android had it in 2008 right from the beginning, that put some considerable pressure on Apple to bring it out as fast as possible. Ironically, now that SMS and MMS technology are essentially obsolete, Google is scrambling to introduce a universal messaging protocol to better compete with Apple’s vastly superior iMessage. But in 2008 with Android 1.0, it was Google that was ahead of the game. Does this seem like a cop out to you? Including notifications on this list might sound silly, as every mobile operating system has some type of notifications system. But allow me to explain. Smartphones may all have notification systems, but only Android had the two tools that make the Android operating system the king when it comes to app alerts: the notification pull-down drawer and the status bar, both of which debuted in Android 1.0. If you stop to think about the status bar, it seems so simple: a small, always-visible section at the top of the display with a row of icons to give you a quick idea of which apps have notifications you haven’t looked at yet. You don’t have to scroll through your home screens looking for red dots (looking at you, early iPhones). It’s all there. Then – working in tandem with the genius status bar – if you pull down from the top of the screen, you can see your notifications drawer with all the notifications you saw on the status bar expanded upon. Brilliant! We take these two things for granted now, but if Android 1.0 didn’t have such a perfect system in place on day one, who knows what notifications would look like on Android today. It’s a good bet that Android will still be around ten years from now. The mysterious Google Fuchsia project may overtake Android in some way, but the open-source nature of the operating system all but assures its longevity. Judging from the past ten years, the five features listed in this article aren’t going anywhere, and we’ll likely be able to talk about them in 2028 on the twentieth anniversary of Android 1.0. What do you think? Will we still have notification pull-downs, app drawers, home screen folders, and all the rest in ten years? Let us know your predictions in the comments!